Fixed Satellite Service (FSS) is a type of mobile telephone service that allows users in a specific area to make and receive cell phone calls. FSS systems or cell phone towers are placed in strategic, fixed locations and provide service to thousands of individual users simultaneously. Generally, FSS systems provide reception for several square miles around them, which borders another FSS system’s reception area. This allows users to communicate with multiple FSS systems as they travel without losing reception. FSS systems are essentially large transceivers that are able to both broadcast and receive cell phone signals across large distances. 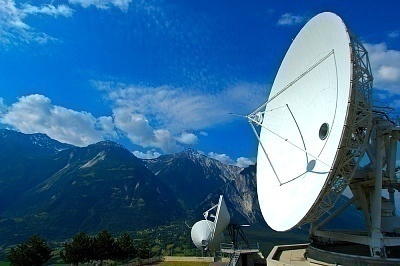 FSS systems differ from MSS (Mobile Satellite Service) systems as they are permanently placed in a specific area, while MSS systems can be moved from one location to another or mounted on a mobile vehicle. FSS systems are the most commonly used devices for handling mobile cell phone communications and make up the majority of the global telephony infrastructure. FSS systems handle communications for thousands of individual cell phones in a specific area. FSS systems are capable of handling cell phone calls, text messages, images, videos, and any other type of file that can be sent or received via standard GSM signals. FSS systems are advantageous because they provide guaranteed reception in the area that they are placed. Since FSS systems are permanently installed, they collectively provide users with reliable cell phone reception across the majority of a country. As the user gets closer to an FSS unit, his/her signal becomes stronger. Likewise, as a user gets further away from an FSS unit, his/her signal becomes weaker. However, when a user gets far enough away from one FSS unit, his/her cell phone will automatically begin communicating with the next FSS unit closest to it. 271 queries in 0.322 seconds.